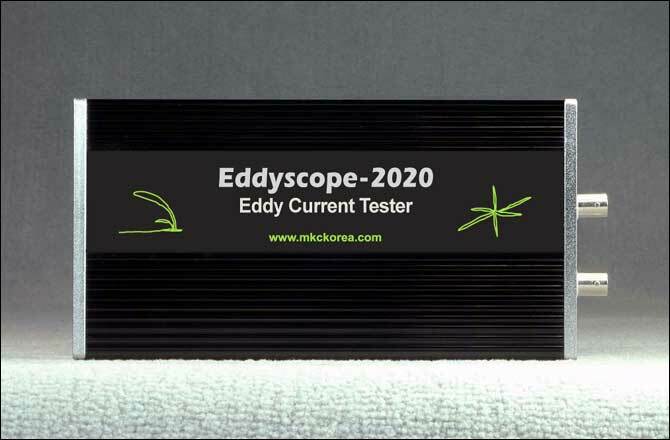 Eddyscope-2020 is an innovative Eddy Current system that is designed to be used with notebook or desktop PC. It is ideal for Educational use while it also can be used for traditional field test. This unit comes with LabView driver libraries(optional) for easy and fast customized development of end user application. A basic LabView application example(optional) is also provided. All hardware functions are controlled by provided application or LabView driver and collected eddy current waveforms are displayed on the provided application or transferred to LabView driver. You can simply connect it to the USB port and your computer becomes an eddy current system. The system doesn’t even need batteries since power is provided through USB cable.